A simple and classical bedroom where the eye capturing element is the cot back wall design. The wooden flooring and the furniture elements syncs in well and feels together as a single element. 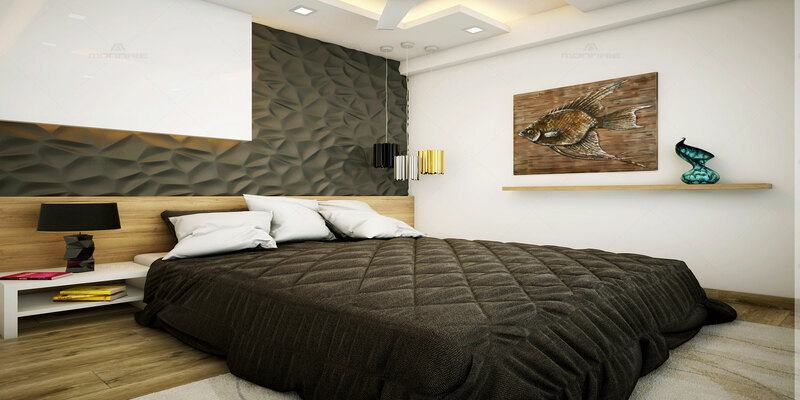 The designer 3D art panels gives an classy feel to the bedroom and increases the dignity of the theme.